This article from The Weston A. Price Foundation takes aim at one of our most popular cooking oils, canola. 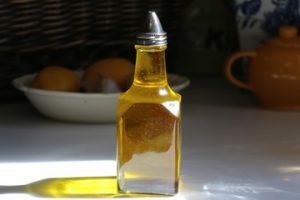 The food industry has been lauding the benefits of canola oil since its arrival on the scene in the mid-1980s, calling it ‘heart healthy’, ‘high in Omega 3s’ and ‘widely recognized as the healthiest salad and cooking oil available to consumers.’ However, there is a dark side to canola oil, as studies have shown it to actually be potentially dangerous to humans. This article details the history of the oil and documents the health risks associated with canola and other industrial seed oils. Read the full article, The Great Con-ola.